Are you prepared for death? In reality, not many of us enjoy the prospect of thinking about our own deaths. Often this means that we’re not prepared for it, which can mean that our families are left to deal with the chaos left behind. If there’s one thing you can do well, it’s to be prepared for death. At a time of grief, the last thing your family needs is a non-existent, out-of-date or incomplete estate plan. 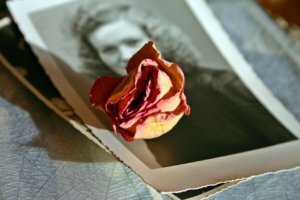 So here are a few tips to ensure that you are prepared for death, and that for your family, the pain of your death isn’t compounded by estate planning chaos. Making a will, and making sure that it’s current, means you’ll need to know what you own, including including shares, investment property, your home, vehicles, jewellery, managed funds and so on. 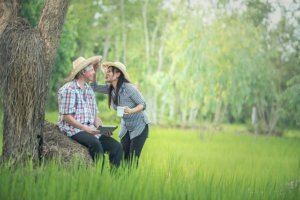 In most cases, these assets will form part of your estate when you die, and your will should explain how these assets will be passed on and to whom. It is also important to name executors of the will and ensure you have notified these people. Choosing an executor can be hard, and it is recommended that it be someone who is trustworthy and capable. Although it’s common to choose a family member like a child, sibling, or spouse, sometimes it is better to choose a professional. Enormous obligations are cast upon an executor to gather in the estate, pay all testamentary debts and expenses and to distribute the estate in a correct and legal way. If the executors you have chosen aren’t sure about their legal obligations, they may find themselves held personally liable for any mistakes. When you pass away, any bank accounts in your name will be frozen until your estate is granted probate. Therefore, you may consider keeping money set aside in a joint bank account or bank account in another person’s name to ensure your family has money in the event of your death. This can also help pay for your funeral. It is also recommended you contact your super fund and discuss how you want your super disbursed once you pass away. With any of the commercially available super funds, you can seek to exercise some control through the use of Binding Death Nominations, which direct where the asset is to be paid upon your death. However, many people make nominations that are not binding, and the trustees of the super fund do not have to follow their instructions. This situation does not allow for anyone with a more complex set of circumstances, a complicated asset structure, a blended family or the flexibility to allow for changing circumstances. To deal with this problem effectively, a self-managed super fund together with a carefully drafted will may be the answer. However, you should seek advice from your accountant and from a specialist in wills and estates prior to making this decision. Finally, ensure you have contacted your life insurance policy company. You may wish to list beneficiaries on the policy to specifically receive the money once you pass away. If not, it is left as part of your estate and can be disputed if ultimately your family decides to contest your will. Ensure that you keep important documents safe. Your estate planning documents are very important, so make sure that your solicitor has a copy at the very least. Make sure you keep your copies safe at home or even with your bank. Wherever the safe place is, ensure you have multiple copies in multiple places and that you let someone know where they are. Make sure you are prepared for death. It’s not always easy to think about, but death claims us all in the end. Open up the lines of communication with your family so that they know what estate planning you’ve put in place. You can use this time to discuss who would like what: one family member may love your antique furniture while another just wants your watch. Communication like this allows for disputes to be settled and dealt with before your death – a vastly eaiser and less costly way of dealing with any conflict. Make sure you’ve discussed your estate planning with a specialist in wills and estates. Most people have more complex situations than they realise, and a specialist will be able to ensure that you haven’t accidentally left something out or have miscalculated your assets. A specialist can also identify any risk of estate litigation, which means that you can minimise the likelihood of a nasty court battle after your death. 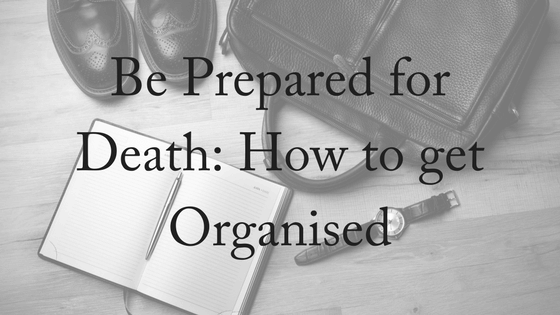 The key to making your death easier on your family is to make sure you are prepared for death. Contact us today for expert advice. We offer a free, 10-minute phone consultation. Contact us today!